It was tempting to conclude after two pints of Aspall’s Suffolk cider on Sunday after a 3-0 capitulation and two further injuries to key players that relegation is a certainty. It certainly doesn’t feel good but 21 points will take us to the magical safety bar of 40 points. This is 7 wins, in case you don’t have a calculator to hand. I’ve listed 9 winnable games. If by time we have played Leicester away, we are still in the relegation places, then I will accept defeat and take comfort that there is even less reason to change our name. Until then, staying up is categorically achievable. 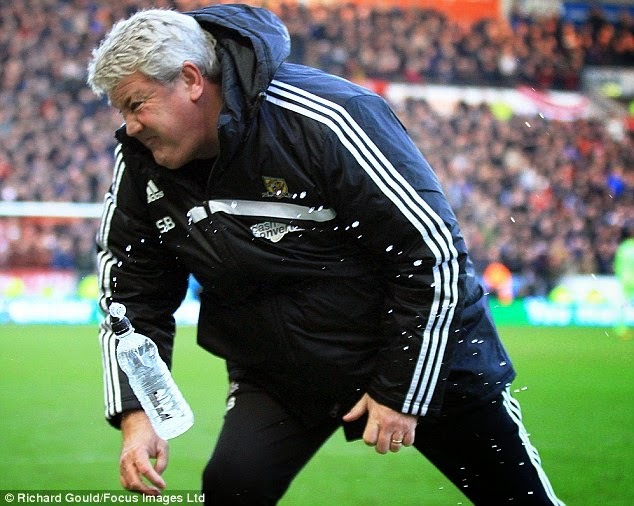 And there is no question of my support of Steve Bruce. Even if we go down I want to see him stay in charge. I am now well aware of his limitations and he has made as many mistakes as the players. But I do know one thing – he can get a team promoted from the Championship.